Democrat Doug Jones defeated Republican Roy Moore in Alabama’s special election for Attorney General Jeff Sessions’ US Senate seat. The margin of Jones’ victory was smaller than the total number of write-in ballots cast. Nick Saban, the head football coach at the University of Alabama, was most likely a popular write-in candidate, with one group producing an ad showing Alabamians how to properly write his name in. On Tuesday, Democrat Doug Jones defeated Republican Roy Moore in an upset for the Senate seat vacated by Attorney General Jeff Sessions. Jones won by a close margin, beating Moore by fewer than 21,000 votes in an election with over 1.3 million votes cast. One factor that most likely broke in Jones’ favour was that 22,819 write-in ballots were cast in the staunchly Republican-leaning state. This, as you expected, is where Nick Saban, the head coach of the Alabama Crimson Tide football team, comes in. With some Republican voters in the state turned off by the allegations of sexual misconduct against Moore but unwilling to vote for a Democrat, Saban presented an option that allowed them to exercise their right to vote and endorse Alabama pride without violating any personal moral codes. 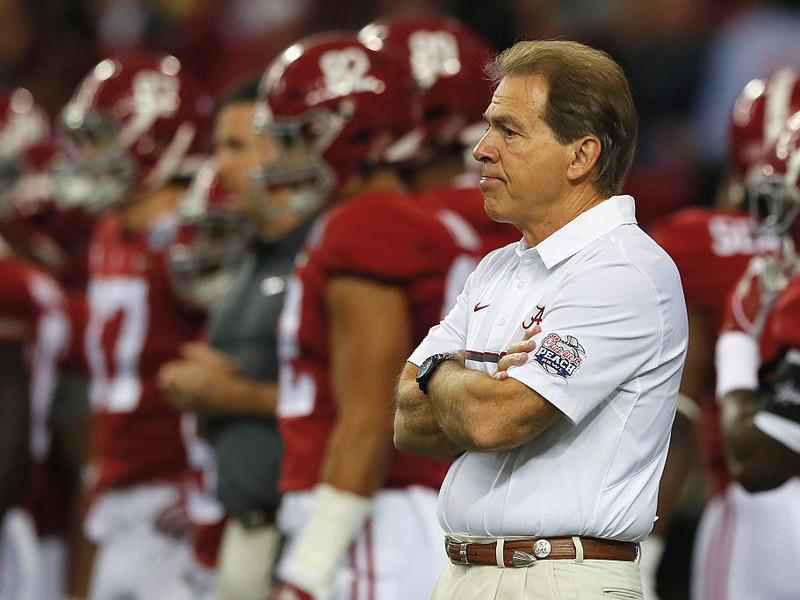 While Saban has no known political aspirations, he is popular in Alabama thanks to his coaching prowess that has helped the Crimson Tide along to four national championships in his 10 years with the program. Writing in a coach’s name is not uncommon in politics, as evidenced by the many calls from NBA fans for a Popovich/Kerr ticket in 2020. One voter who spoke with MSNBC said he wrote in Saban’s name after having a crisis of conscious in the voting booth. He most likely wasn’t alone. Buzz of a Saban write-in campaign grew so much that a Democratic super PAC looking to show Alabamians how to vote for a write-in candidate used Saban’s name as an example in an ad. It is unclear how many write-in voters chose Saban – surely fans of Alabama’s in-state rival Auburn would be less likely to do so – or even whether those who did vote for Saban would have otherwise voted for Moore. That said, it looks as if at least one of those questions will be answered thanks to a rule in Alabama that calls for all write-in names to be identified and counted when the number of write-in ballots is greater than the margin between candidates, which looks to be the case here.